Do you wonder about how cities and urban regions can become more sustainable and liveable? How to design innovative policy solutions for pressing environmental, water and road infrastructure problems? Then the international Master's programme in Environmental and Infrastructure Planning (EIP) will fit you well. The programme is unique in integrating three elements: (1) the analysis of urban and regional planning strategies and governance approaches for highly dynamic and complex situations, (2) international comparative research and learning, and (3) a focus on environmental, water and infrastructure related challenges. Bringing these elements together, you will examine policy programs for flood resilient cities, integrated road infrastructure solutions and tools for more environmental friendly urban en regional development. You will be part of an international classroom with students originating from different regions across the globe, some of them having experience in planning practice already. Our dedicated staff, will challenge you to rethinking real life planning problems by integrating concepts like self-organization, adaptive capacity and transition management. Through a mix of interactive teaching methods you will strengthen your collaboration and communication skills, and your ability to work and think independently. If you are looking for a 2 year master, we offer two Double Degree programmes: Development Planning and Infrastructure Management (with ITB Bandung, Indonesia) and Water and Coastal Management (with University of Oldenburg, Germany). You can also integrate EIP with our two year Research Master in Spatial Sciences. Please visit the Spatial Sciences programmes page for more information. For more information about the courses in this programme, please visit http://www.rug.nl/frw/education/master-info-frw/courses-master-environmental-infrastructure-planning. If you are looking for a 2 year master, we offer two Double Degree programmes: Development Planning and Infrastructure Management (with ITB Bandung, Indonesia) and Water and Coastal Management (with University of Oldenburg, Germany). Please visit https://www.rug.nl/frw/programmes-spatial-sciences to find the programme info. We ask of our premaster students a weighted average of a grade 7,0 or higher of year 2 until 4 of the HBO study programme. Exemptions: Native English speakers or diploma holders from United States of America, Canada, Australia, New Zealand, United Kingdom, Ireland. Our pre-Master programmes are entirely in English. Your level of English must be sufficient to study successfully (VWO leven of English). We advise the following test results: IELTS 6,5; TOEFL 580/237/92; or Cambridge Proficiency or Cambridge Advanced. Please contact the study advisors ( study.advice.fss@rug.nl ) for more information on taking an English test. A lot of students in the pre-master have difficulties with the course in Mathematics. This means you need a sufficient level of mathematics before you start in the pre-Master. Bachelor degree in spatial planning, urban/regional planning, urban/regional development, environmental management, human geography, land use planning and management, public administration (*with a focus on spatial analysis and issues, e.g. minor related to urban planning or human geography), landscape architecture, water management**, civil / transport engineering** (**with some basic knowledge on policy making, e.g. minor related to public administration, governance or policy). For more information about the pre-master please contact the study advisors (study.advice.fss@rug.nl). Direct access with Philosophy, Politics & Economics and Physics of Energy. No access with other majors. Work in Governments: as policy advisors at international, national, provincial and local offices in charge of spatial planning, transportation or water management. Work in Consultancy: as project managers national and international firms in engineering, design and sustainability. Start their own business or go into research. Check out personal stories of alumni in our brochure . Check out our Roadmap on exploring planning practice & the labour market. Throughout the year we offer support for practical career preparation and employability skills. Workshops are given about leadership, job interviews and how to present yourself. These Career Services are provided by the Careers Company and the UG Career Services. to develop new opportunities for intervening in physical and social structures to enhance quality of life. to understand on-going spatial transformations and develop opportunities for governance intervention. to help establish capable and sustainable regions, cities and communities. This research project aims to foster the understanding of complex urban problems by combining participatory processes with serious games in a co-located setting. In particular, the project seeks to explore how game mechanics can be used to engage the actor group of young adults to make informed decisions that have an impact on their respective urban carbon footprints. This PhD research analyses the interactions between different actors at the local level, and the roles/responsibilities of the local state, civil society and the market in flood resilience. A short video about the PhD research can be found here. The INTENSSS-PA project is a EU funded Horizon 2020 project that studies the integration of sustainable energy measures, land uses and technologies within the spatial and socio economic landscape. It is focused on the process of institutional innovation needed for developing integrated sustainable energy plans. A research project carried out in collaboration with RIO projects and the Municipality of Groningen with support from Regio Groningen Assen and Zernike Campus. I joined the MSc programme in Environmental and Infrastructure Planning as part of the international Double Degree MSc Water and Coastal Management. Taking part in this programme was a life-changing experience; as an Israeli with academic experience in the (very different) field of marine biology, I explored the depths of social sciences for the very first time. Furthermore, I was able to get a great taste of life in one of Europe's best student cities. 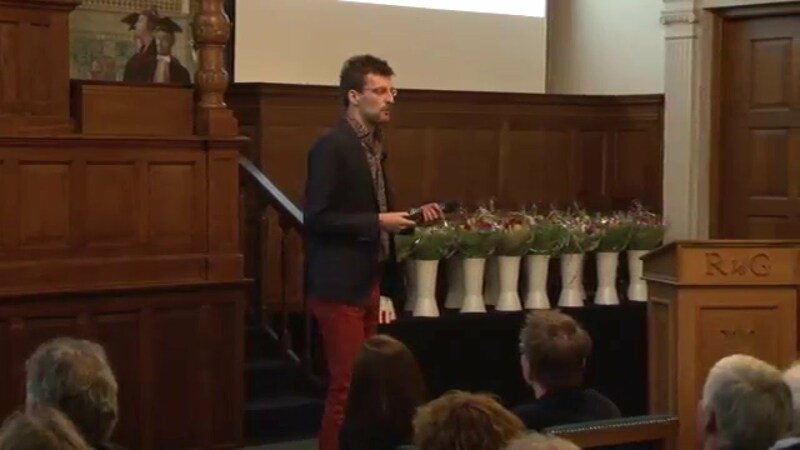 Looking back, I can say that my year at the University of Groningen was a great leap in terms of my ability to deal with complex systems that have a human component, such as my very own home turf, the marine environment. Such experiences are, in my opinion, the foundation for bridging the cultural and scientific gaps that are most pressing on our common, global agenda. Eyal Bigal finished the MSc programme in Environmental and Infrastructure Planning in 2016. He is currently working on his PhD at the University of Haifa, Israel. Our job as planners is to asses and create innovative solutions from a deeper understanding of the problem, taking into account the different stakeholders to reach consensus. The Master’s in Environmental and Infrastructure Planning gave me the knowledge and tools I needed to make better decisions from a broader insight, especially when dealing with complex situations and projects. The professionalism of the teaching staff is very high, and it challenged me to always do and give my best. Currently I am working at a Government Ministry, and I am applying all the knowledge I have acquired, putting them into practice by developing sustainable projects, and creating new policies for my country. Fabiana Aguilera Yambay obtained her degree of MSc in Environmental and Infrastructure Planning from the University of Groningen in 2015. She is currently working as an urbanist at the Ministry of Housing in her home country, Paraguay. The Master's in Environmental and Infrastructure Planning is a challenging and motivating program for planners who, like myself, aim to contribute towards creating better places to live in, hence, more habitable and sustainable cities. Moreover, it encompasses accurate planning concepts, tools and knowledge to solve the many difficulties our cities experience. I was captivated by the passion by which the professors educate the students, and in the way they develop an increased interest and understanding in different aspects of urban planning. Being a RUG student, I have broadened my knowledge and skills as a planner. In particular, I have realized the importance of holistic bottom-up approaches, involving all the parties linked to a program or project, who stand to be affected either in a positive or negative way. 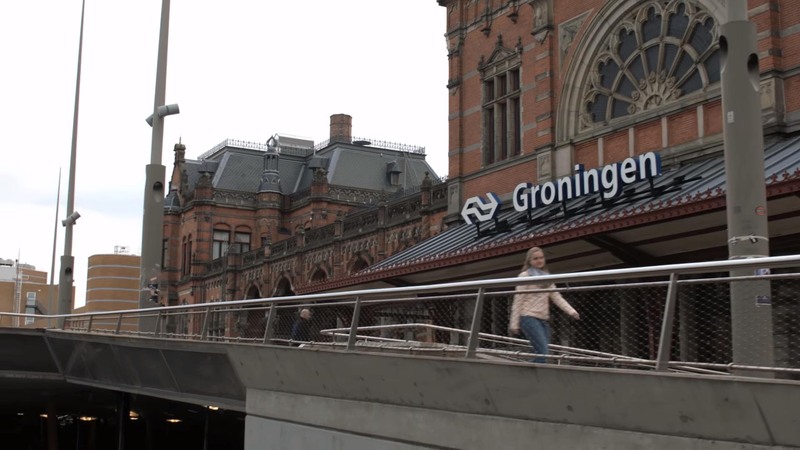 Personally, I have enjoyed my stay in Groningen and I met amazing people. My Master’s degree in Environmental and Infrastructure Planning has definitely opened many doors within the working environment of my city. The programme facilitates students in the establishment and enhancement of their own interest agenda's (in assignments, presentations and thesis), and participate in on-going research projects at the department, through individual guidance.